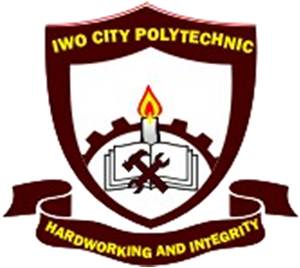 Admission Details for the Iwo City Polytechnic, Osun State. This is to inform the general public, parents, sponsors and interested admission seekers that the polytechnic's admission form for National Diploma programs is now on sales. Below are details to take into consideration. SSCE Results: 5 credits include math and English (WAEC or NECO SSCE ,NABTEB or GCE) at one or two sittings relevant to your choice of course. You obtain a minimum entry score in UTME as specified by JAMB i.e 100 and above. You can also obtain the Form without writing UTME. Submit your teller At A1 grammar School Iwo or to the Ag. 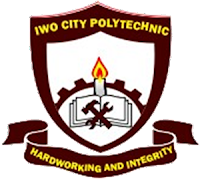 Registrar Iwo City polytechnic Feesu, Iwo to collect a form. Fathats Ayepe Road 24 Adeleye street Shagamu, Phone No:08162811308.
call : Dr . Bs .idowu 08034277691. Call :Mr . Yusuf Waheed 08060886136. Dr . Debo Adeleke 08063060870. Call 08034986151 OR come to Flat CD12, FLCH Estate Shagari ,Ipaja Lagos.